This early work was composed when the composer was 20. It was dedicated to Henriette Roget. 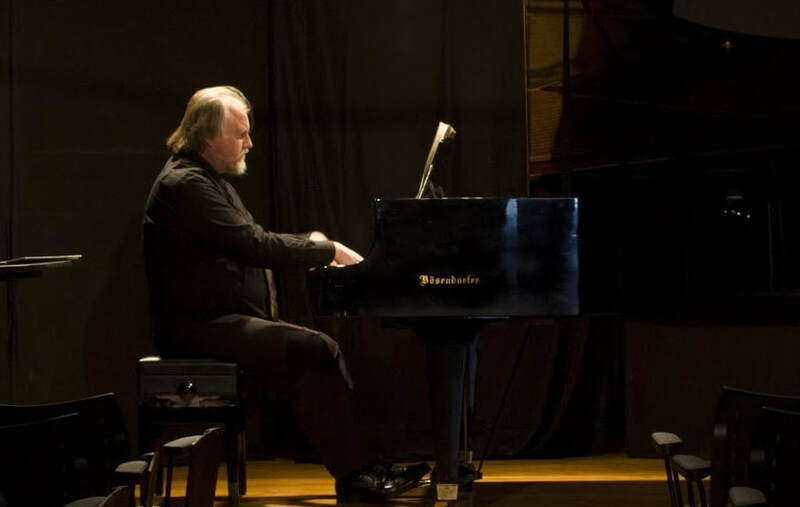 Although influences of Debussy can be detected it already shows characteristic traits, such as Messiaen’s synaesthesia (and colours of orange, purple, light grey, mauve and green), modes of limited transposition and polymodality (in the fifth prelude). A Scriabinesque mysticism can be detected in La colombe, with its augmented fourth in the right hand. Religious undertones and symbolism may be seen in the titles of the first and last preludes. This composition was dedicated to Benjamin Fourie and inspired by the French film Tous les matins du monde (All the Mornings of the World), about the French Baroque composer Jean de St. Colombe and his student Marin Marais. It shows primarily a deconstructivist approach within the turbulent time perspective of its creation, where a vast panorama of style influences are revealed throughout the course of the music. The opening idea is a vertical broken chord, followed by a horizontal melodic line. A recapitulation of these only takes place in the fifth movement. THEMA is a personalized “signature”, where a note series are derived from the letters in the composer’s name. Abstract expressionist and surreal overtones are noticeable. This is heard in crab motion in the next movement, anachronistically juxtaposed by the Renaissance Vilanella. A melodic blossoming is heard in the early Baroque Ricercare and in the last movement the incorporation of African dance-like passages create ecstacy and momentum. A Bach signature can be heard in the left hand and the music concludes with a centering of energy on one focus point. This is a fascinating work by a composer who grew up in the wide spaces of Namibia. Based at Noupoort in the Karoo, Dedman dedicated this work to his wife, Anja Morris-Paxton. An ostinato figure characterises the left hand in the first part, contrasted by a modal melodic pattern in the right hand. A jazz blues-like feeling of congeniality is prevalent. In the second part slow meditative chords are contrasted by minimalist running figures, depicting translucent rays of light. In Love of God for Man the melody revolves around a few intervals, creating a feeling of calm expectancy and the last part starts with bell-like sounds, like an awakening call. The orientation is spatial and suggests endless peace. Benjamin Fourie has performed extensively in South Africa and Europe. He lives in Bethulie, Gariep Dam, Free State, from where he focuses on free-lance work as a performing artist. His website is at www.artcircles.webs.com.